The people of Cuba struggled against immense odds to emerge victorious from years of brutal dictatorship and poverty in 1959. 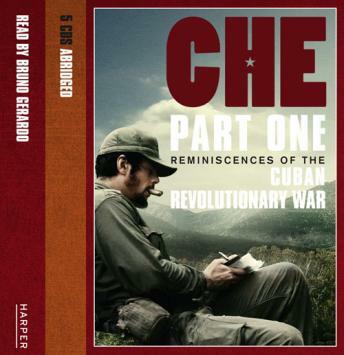 This is Che Guevara's classic eyewitness account of the transformation of a country and also the transformation of Che himself - from a troop doctor to a revolutionary leader, who would become one of the greatest icons of the twentieth century. Following the phenomenally successful film adaptation of 'The Motorcycle Diaries', two of Che Guevara's later and most insightful diaries are being brought to the big screen in 2008. Directed by Steven Soderbergh and starring Benicio del Toro, 'Reminiscences of the Cuban Revolutionary War' and 'The Bolivian Diary' will be released as 'Guerilla' and 'The Argentine'.